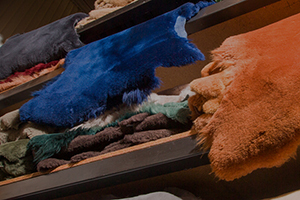 Handmade to order, our genuine lambswool over rugs use the finest sheepskins carefully selected for their dense plush 25mm pile to combine luxury and durability. 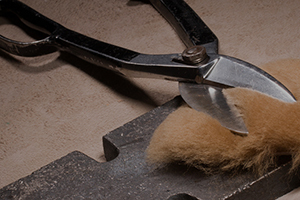 Since 1971 we have specialised in the manufacture of lambswool over rugs. We have made rugs for all types of cars in a myriad of colours. 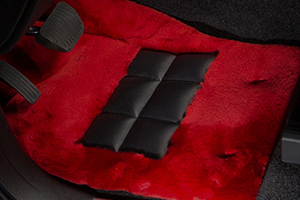 Lambswool over rugs made from genuine sheepskin are the finishing touch for your car. Our palette of richly dyed beautiful COLOURS complement or contrast with interiors of cars of all ages and special shades can be prepared to order. With every lambswool over rug set, individually tailored to order, we are continually updating our huge library of patterns to include templates of the latest and the rarest of cars. All types ~ all ages ~ both RHD and LHD. 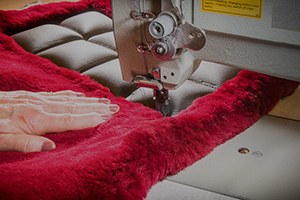 Each member of our specialist team has over 30 years experience in hand-crafting over rugs in real sheepskin for the world’s most exclusive cars. 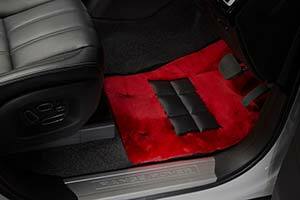 Drivers rugs are fitted with a soft but durable shoe friendly black full grain leather heel pad. 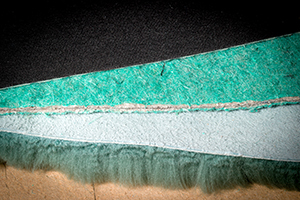 The lambswool rug is combined with a high quality automotive trim fabric and padded with a sound deadening plush felt interlining Velcro closure design to the backing helps to ensure easy cleaning.